Some of the most conflict-ridden areas in New Jersey employment involve wage and hour issues – who needs to be paid, how much, when and for what. 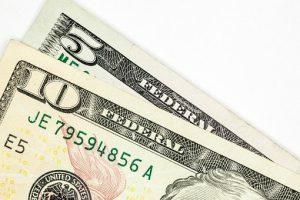 An important Federal appeals court decision has shed light on one of the most contested topics in this area – when employees mostly paid for benefits. A major issue under both the state and federal wage and hour laws is what time an employee must be paid for. Within this area there are many sub-issues, but one of most frequent and contentious issues is whether employees must be paid while on break. The issue of payment during breaks is governed by two regulations issued by the Wage and Hour Division of the U.S. Department of Labor. The United States Court of Appeals for the Third Circuit, which hears federal appeals from New Jersey, Pennsylvania, Delaware and the United States Virgin Islands, recently issued an important opinion in the case of United States vs. American Future Systems, Inc. d//b/a Progressive Business Publications, clarifying the interplay between these two regulations. American Future Systems, Inc., (“AFS”) published and distributed business publications. It employed sales representatives to sell them. The sales representatives received an hourly wage plus bonuses for their sales. They also received extra compensation if they met a certain sales per hour level. The sales representatives worked at AFS’s offices, and needed to be logged onto the computer when they were working, and log out when they were not. Sales representatives could determine when and how many hours they worked, provided they did not work more than 40 hours per week. They were paid for the time when they were logged onto their computers and for breaks of 90 seconds or less. They were not paid for any time they were logged out of their computers for 91 seconds or more. The employees could determine when to take these breaks, how long to take, what to do during them, and could even leave the workplace during the breaks. The company called this “flex time” for the employees’ benefit. The Secretary of the United States Department of Labor sued AFS to recover the pay which it claimed the employees should have been paid for breaks between 90 seconds and 20 minutes. The Department of Labor also sought to recover twice the unpaid wages as “liquidated damages” because the violation was willful. AFS claimed that it was not covered by the 20 minute rule under section 785.18 because it was “flex time” which the employees could set themselves, and do and go where they wanted. Therefore, AFS’s attorneys argued, it should be governed by section 785.16. AFS appealed to the Third Circuit. The Third Circuit rejected all of AFS’s arguments in a strongly worded opinion. The Court first noted that the FLSA does not require employers to provide employees with breaks. However, when employers do allow employees to take breaks they must comply with the Wage and Hour Division’s regulations. The Court then went on to reject the “flex time” label. AFS could call the time off whatever it wanted, but if someone got up to go to the ladies room, it was still a break. It doesn’t matter what the employer might call it. In fact, the Court was particularly troubled by the 90 second limit. After considerable discussion of how long it would take employees to do various common break related activities, including time sitting on the commode, the Court even cited Harry Potter. Likewise, the Third Circuit rejected AFS’s argument that section 785.16 should apply because the employees could choose when to take the break, how long to make it, what to do, and where to go, including leaving the AFS’s property. Rather, the Court explained that section 785.18 governed all breaks which lasted twenty minutes or less. It established a “bright line” test. If a break is 20 minutes or less the employee must be paid for the time he was on break. Section 785.16, which determines whether a break is compensable or not generally only applies to breaks over 20 minutes long. For breaks of 20 minutes or less, the employee must be paid. The FLSA does not require employers to give employees breaks. However, non-exempt employees must be paid for breaks of 20 minutes or less. When breaks are over 20 minutes, payment will depend on the test found in 29 C.F.R. 785.16. Our employment law attorneys represent employers and employees in wage and hour disputes, wage and hour compliance, and employment law issues and litigation of all sort. Call us at (973) 890-0004 or email us to set up a consultation. We can help.